Free VPNs are a double-edged sword. On one hand, they have been known to do all sorts of shady stuff including stealing customer data and using their bandwidth for something else entirely. On the other, some free VPNs provide a lot of utility to users on a tight budget and have completely legitimate as well as excellent business practices. Today, we will shun all the VPNs who engage in illicit activities and instead focus on the VPNs which you can use without paying a dime to access geo-blocked websites (and services), have a completely private internet experience, and protect your valuable data from any sort of intrusions or malware. Free VPNs have a different set of standards that they need to be compared against than the regular VPNs that you can subscribe to. Due to the fact that most reputable companies that offer free VPNs offer them as a marketing tool, it is expected that the feature set will be limited and you will not have as much security as you might have had on a paid VPN. When it comes to a free VPN, we find the OperaVPN to be at the bare minimum level of quality that we are willing to accept. Take a look at this OperaVPN review. If the VPN that you are thinking of installing is better than this one, then go for it. 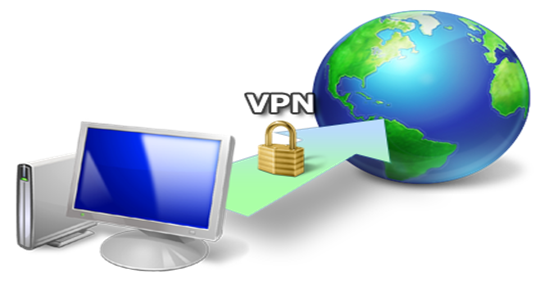 If you do not have the time or simply the will to research all of the free VPNs currently available, do not fret as we have done that for you. After taking a look at almost all of the VPNs that you can get for free, here are some of the best ones that we found. ProtonVPN may very well be the best free VPN that you can currently use. Although it still has restrictions such as the ability to only use one device on the network at any one time, the main reason to use ProtonVPN is the unlimited data that you can use. Some other restrictions that you have to deal with when using ProtonVPN are limited server locations (only 3) and low speeds. In order to access the full-speed that ProtonVPN is capable of offering, you will need to purchase one of their paid plans. Luckily, ProtonVPN has different plans for everyone, and some of them are quite cheap. It is easy to decide which one of these plans you want to use depending on your usage, and you can upgrade in just a couple of minutes after you try their services on the free version. Although Tunnelbear only provides you with a total of 500MB/month on their free plan, they do allow you complete access to their service so that you can test out the product. Tunnelbear is a decent VPN that has an incredibly cute and consistent ‘bear’ themed interface. Even when you uninstall the app, you get to see a bear with tears in his eyes asking you to stay. As for the service itself, Tunnelbear can get the job done, is easy to use, and has all the necessary security features that you might expect from a VPN. What we do not like about Tunnelbear are the low number of server locations and the extremely modest data limit which comes with the free package. Although Betternet is not really a good VPN when it comes to security, it is great for casual internet users who just want to use a VPN to access geo-locked data. If you live in a country where the internet is censored (e.g China), then Betternet can be a decent choice for you. However, remember that you will not be able to access any servers apart from the one located in the US in the free version and you will also not have any access to Netflix. Although Zenmate has a full VPN application that can guard your entire internet, it is their browser extension that millions of people use around the world. The free version of the extension allows you to download as much data as you want and have access to a total of 4 different servers located in the US, Germany, Romania, and Hong-Kong. This is a nice spread and you should not have any trouble with speed due to the way these 4 locations are spread around the world. Of course, you can also purchase the full version and use the VPN application to protect your entire PC, not just your browser. However, there are far better solutions for that such as Tunnelbear. There are many different VPNs currently available in the market that can provide a worthwhile experience without you having to pay anything. We have taken you through 5 of them here, and you can look at the pros and cons of each of them before you pick a service for yourself.